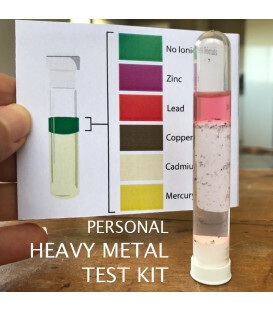 Heavy Metal Test is a home testing kit for checking heavy metals in both urine, saliva and liquids. 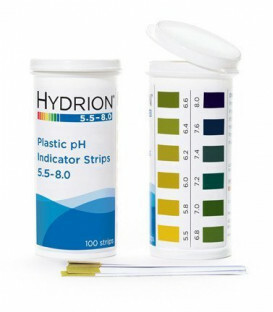 Easy to use it will detect the presence of ionic metals in the liquid solutions tested. This is an economical way to see what under the naked eye, cannot be seen. Each Heavy Metal Test kit contains 8 tests. The term heavy metal refers to any metallic chemical element that has a relatively high density and is toxic or poisonous at low concentrations. These metals cannot be held in colloidal suspension (like trace metals found in colloidal mineral formulations) and cannot be degraded or destroyed. Examples of heavy metals include but are not limited to (with the most common metals found in today’s living environment being) mercury (Hg), lead (Pb), cadmium (Cd), chromium (Cr) and thallium (Tl). Thankfully there are ways to detect and remove most toxic metals. What form of heavy metals are present can be detected by a simple colourmetric system. Using a chemical called ‘dithazone’ we can ‘paint’ these heavy metals with a colour making the metal poisoning visible. The dithazone reacts differently to each metal, so for Mercury you will always get a yellow colour and for Copper a brown colour. The difference between the Heavy Metal Test Kit and other methods for detecting heavy metals (Atomic Absorption Spectro Photometry etc.) is that this kit will exclusively detect ionic and free radical generating heavy metals. This means that a needed element such as Zinc will not be detected with the test kits but ionic Zinc that produces free radicals will be. We know that a change in colour of the green test solution indicates the presence of ionic metals. Any product that is able to 'chelate' (neutralise) ionic metals must be able to maintain a green colour once the chelate is added to the sample containing the contaminate. In 1925 Helmut Fischer of the Siemens Concern in Berlin succeeded in detecting heavy metal ions by means of a dithizone process. As a reagent, dithizone is able to indicate the presence of heavy metal ions in qualitative and quantitative terms. Dithizone, in binding the metals (binds to Cu, Zn, Cd, Hg, Pb, Mn, Co, Ni,), form coloured complexes in the interior of the molecule which are soluble in non-polar organic solvents. The coloration of these solutions is very intense, its particular coloration determined by the atomic radius of the respective metal present in the complex. The reaction times of the heavy metal ions vary; therefore, depending on their respective concentrations, different colorations may occur from which one can, in addition to the qualitative conclusions also semi quantitative ones regarding the contaminant. (At the lower ppm level, even at the ppb level). 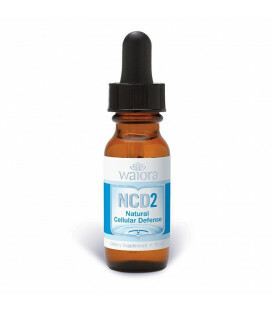 The solvent used Diphenylthiocarbazone (Dithizone) is especially developed to bind the dithizone molecules quickly and effectively to ensure dissolution for testing. What can I test using this kit? Since all Heavy Metal ions are water soluble, solids like food items, porcelain dishes, dust samples from carpets, wall paints and wall paper etc. can also be tested for Heavy Metals after soaking them in distilled water. Take a fresh coated test tube, remove the cap, and using a dedicated pipette, add approximately 0.5 ml (~ 12 drops) of Solvent to the test tube. Replace the cap and shake the test tube vigorously for about 30 seconds to effect dissolution of Dithizone in the solvent. Invert the test tube and let it stand using the cap as the base for another 30 seconds. The solution should now be green and fresh and ready for use. Remove the test tube cap, pick up approximately 2-3mL of testing sample from the sample cup using a clean pipette and add it to the test tube. Replace the test tube cap. Shake vigorously for about 5 seconds, then place the test tube into one of the support holes in the stand provided and allow for the solution to separate. Read the top layer and compare it with the chart provided. If colour stays green, no ionic metals have been detected. You may not find exactly the same colours as the chart in every day reality. This is due to the complexity of testing mediums and the reaction to dithizone. Sometimes, not only the 'ring' on top of the liquid changes colour, but also the entire solution below the ring may change colour as well. Q1. Why is the Heavy Metal Test Kit important? The Heavy Metal Test Kit is the only test available in the commercial market that allows for a quick test of the presence of ionic metals in liquid solutions. The normal atomic absorption method available in laboratories only shows the presence of metals, indiscriminately whether they are ionic or not, organic or inorganic. Q2. What does the Heavy Metal Test Kit measure? Heavy Metal Test Kit measures ionic metals present in the testing medium. The colour indicates the kind of metals that are in ionic form indicating the presence of metal compounds which are not removed. Q3. What do the colours represent? 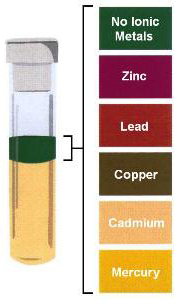 The colours represent the presence of ionic metals within the sample. If the testing medium is clear of metals, the sample will remain green. The presence of other ionic metals will produce different colours which within the sample may become mixed and non-distinct; however any change of colour shows ionic metals are present. Lead testing for example comes up with a deepness in colour that you wonder why it is you cannot see it. And that is the very dangerous and insidious problem to metal poisoning. You cannot see it making the Heavy Metal Test Kit a most valuable diagnostic home-based testing tool. Thank you for all your help these last couple of days. The tests changed colour instantly to what we think is lead. We do live in an older suburb so we checked our water to and same result. My wife will order the filter in the next couple of days. Thank you again.